Matthews is the author of the popular Mudflat Series, a story which is set in a Seattle neighborhood where magic is apparently commonplace. 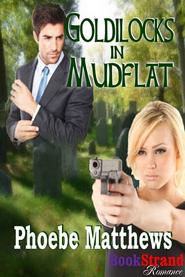 Tarbaby Trouble: Mudflat 1 (2008) introduces Claire, an independent heroine on the run from unsavory characters. She leaves her house in the care of a troll who happens to live in her basement and goes off in search of peace and quiet. But what she finds is anything but. 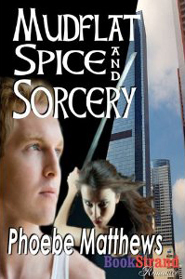 Claire's adventures continue in Matthews' latest installments, Mudflat Spice and Sorcery: Mudflat 4 (2010) and Goldilocks in Mudflat: Mudflat 5 (kindle edt. 2010). Matthews is also the author of Déjà Vu Lovers (2008), has written several short stories, and draws the cartoon Sara City. 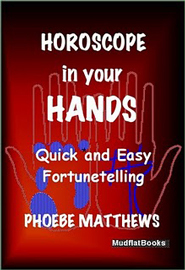 If you would like to know more about Phoebe Matthews please go to http://phoebematthews.blogspot.com/.